The importance of play to healthy childhood development is well documented in scientific literature. Children are not simply having fun, but are honing their social and physical skills while gathering and processing information about the world around them. In short: playtime is important learning time. In recent decades, anthropologists have also studied how cultural and community values are transmitted during structured and unstructured play. 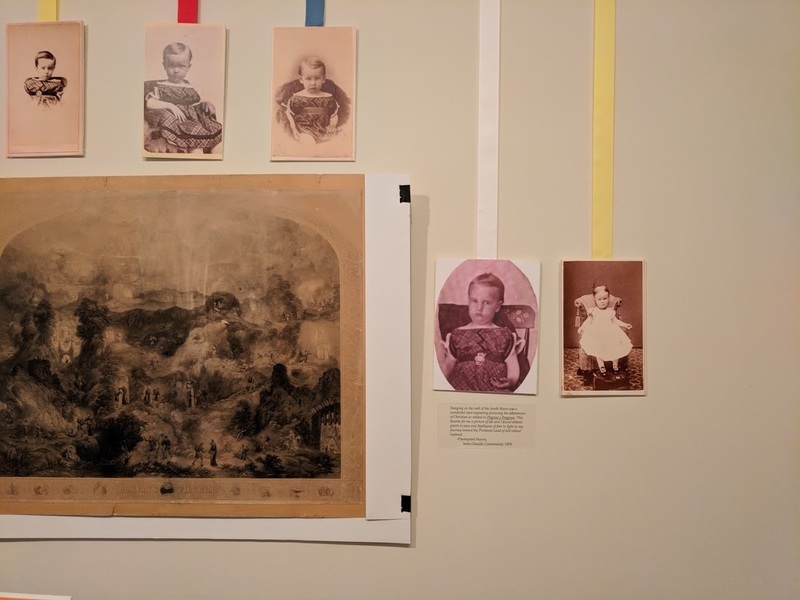 Though most studies have examined modern children, the Oneida Community of the nineteenth century provides an excellent example of how playtime and toys are used to communicate a community’s values and beliefs. John Humphrey Noyes and his Perfectionist followers built the Oneida Community Mansion House in Upstate New York in 1848 after fleeing persecution in Putney, Vermont. The Christian utopian community was founded on Noyes’ calculations that the Second Coming of Christ had occurred as promised within one generation of Christ's death in 70 A.D. Since the sinners and the saints had already been separated, the only thing left for the Perfectionists to do was to create a “heaven on earth.” While there were short-lived sister branches later formed in Brooklyn, Connecticut, New Jersey, and Vermont, the New York community served as the home of Noyes and the center of the movement. To establish a heaven on earth, all members must be free from selfishness and their selfish attachments. Noyes and his followers shared not only all goods and assets, but themselves. All men were ‘married’ to all women and all children were reared in common, separate from their biological parents. The reasoning behind this arrangement was twofold: to free women from the burden of raising children to pursue fulfillment in education, work, amative relations, and God; and to prevent philoprogenitive “stickiness.” To the Perfectionists, these “sticky” relationships were selfish because they formed exclusive pairs between the mother and child and were therefore to be avoided. Children lived in a separate dormitory and were cared for by a rotating ‘staff’ of community members. Within the Children’s House, the community’s youth shared toys in common and were discouraged from claiming favorites as their own. In addition to having communal toys, the toys themselves underwent intense scrutiny to determine whether they encouraged inappropriate behaviors. 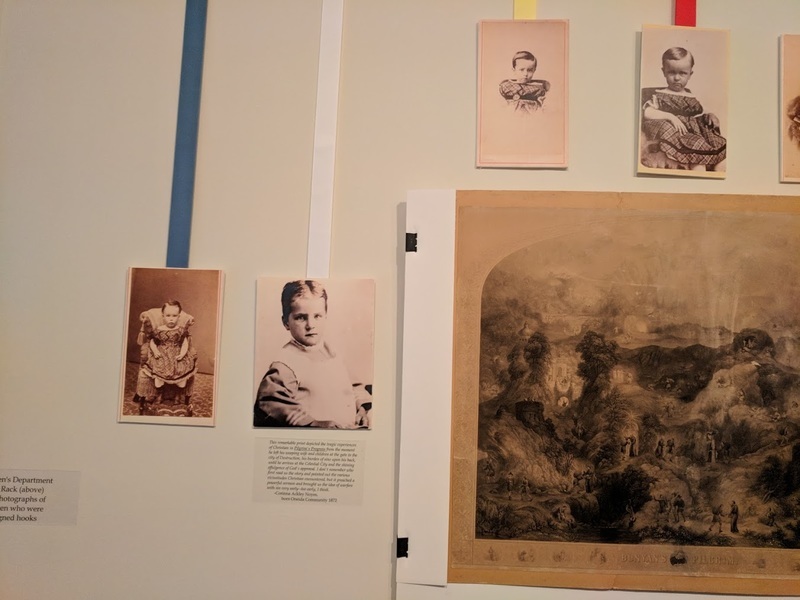 Noyes agreed with the findings of the committee and added “the doll spirit is connected with the worship of images.” According to the committee, the girls in Brooklyn admitted they had been seduced into pleasure-seeking and frivolity. They stripped the dolls of their clothes and placed them on the coals. Children at Oneida were strongly encouraged to follow suit. By the 1870s, the avoidance of the harmful “doll spirit” was not as strictly enforced. 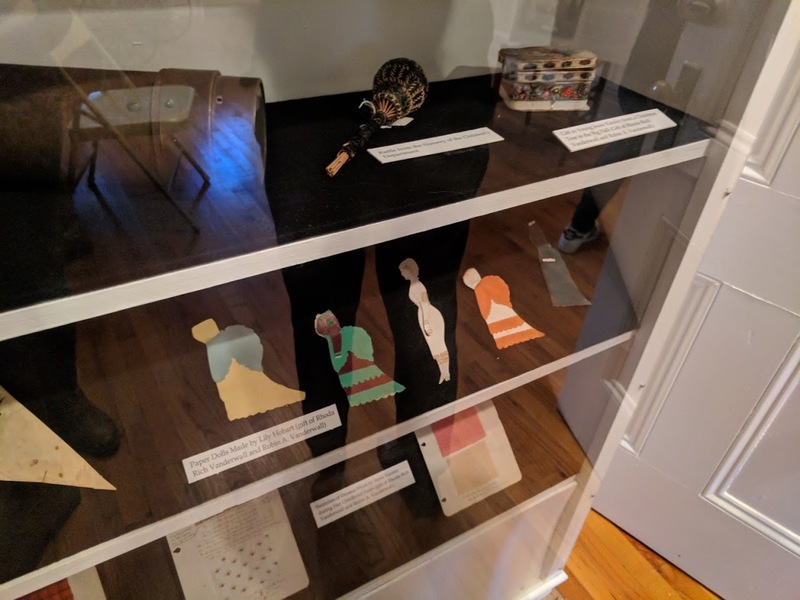 Paper dolls seeped their way into the Children’s House. 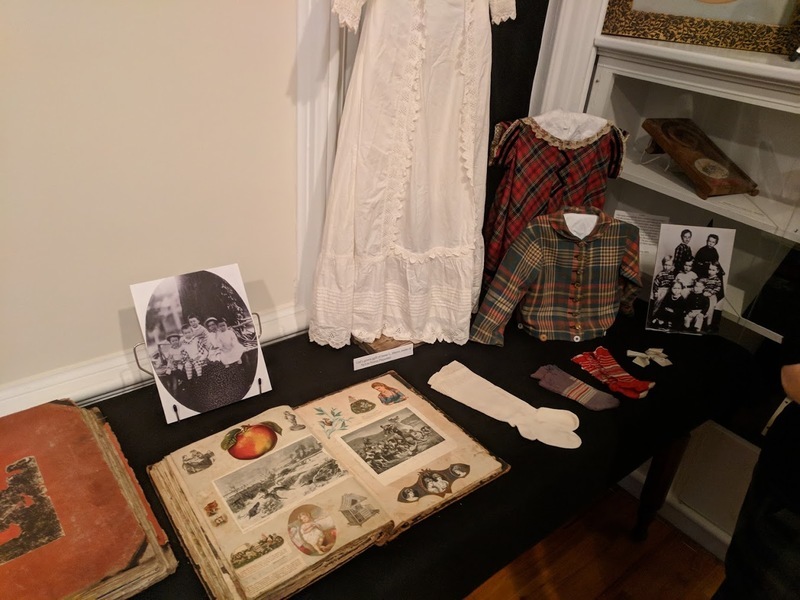 Examples of the dolls owned by the children can be seen on display at the Oneida Community Mansion House Museum. 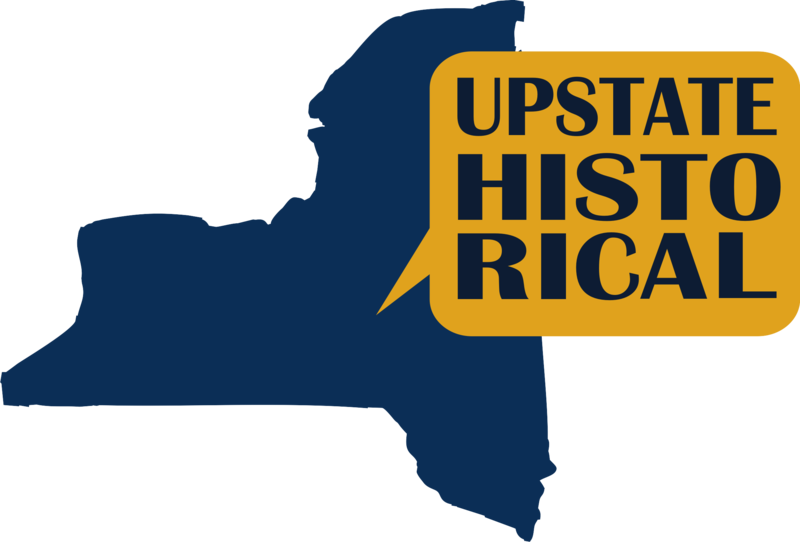 Sharon Folkenroth Hess, “Noyes on Toys,” UpstateHistorical, accessed April 18, 2019, http://upstatehistorical.org/items/show/29. Youcha, Geraldine. Minding the Children: Child Care in America from Colonial Times to the Present (Cambridge, MA: Da Capa Press, 2009), 95-97. Noyes, George Wallingford and Lawrence Foster, ed. 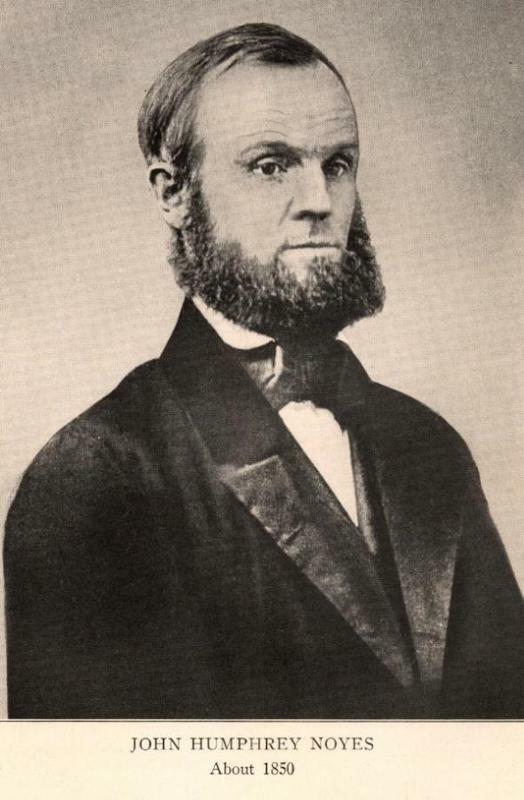 Free Love in Utopia: John Humphrey Noyes and the Origin of the Oneida Community. (Champaign, IL: University of Illinois Press, 2001), 57-58. "Handbook of the Oneida Community (Christian Perfectionist); with a sketch of its founder (J. H. Noyes), and an outline of its constitution and doctrines, Issues 1-2," (Wallingford, CT: Office of the Circular, Wallingford Community, 1867), 16, 60-64.